Dorothy Barrera hoped she and her late husband would eventually be together again at the San Domingo Cemetery, but she says the cemetery association refused to allow her husband's burial because he was Hispanic. Dorothy Barrera was married to her late husband, Pedro, for more than 40 years before he died in February. He was Hispanic. She is white. Dorothy expected they would eventually be together again when she was buried beside Pedro in the San Domingo Cemetery in the tiny, rural town of Normanna. But when she looked to bury his ashes in the cemetery, she allegedly ran into the cemetery’s “whites only” policy — an apparent relic of Jim Crow-era segregation in Texas that’s thrust this small community, located an hour northwest of Corpus Christi, into a modern-day desegregation fight. That’s what is alleged in a federal lawsuit brought by the Mexican American Legal Defense and Educational Fund against the Normanna Cemetery Association, which oversees the cemetery. The lawsuit alleges the association is violating the federal Civil Rights Act by enforcing a “whites only” rule at the San Domingo Cemetery, leaving Hispanics and other non-whites to be buried in the nearby Del Bosque Cemetery. According to the lawsuit, cemetery operator Jimmy Bradford told Barrera that her request to bury her husband at the cemetery had been denied by the Normanna Cemetery Association. When Barrera questioned the vote, Bradford allegedly responded Pedro Barrera couldn’t be buried there “because he’s a Mexican” and directed her to “go up the road and bury him with the n----- and Mexicans,” the federal complaint details. The cemetery association later backtracked, allowing the burial to move forward. Details about the association's governing board are not public, and it's unclear who makes up the board. A listing with GuideStar shows that the association's tax exempt status was revoked by the IRS. Barrera has yet to bury her husband’s ashes in the cemetery. Her attorney says she’s planning to file her own lawsuit, and the U.S. Department of Justice is also looking into the issue. “That’s what I told her and that’s what we’ve been doing,” he added. 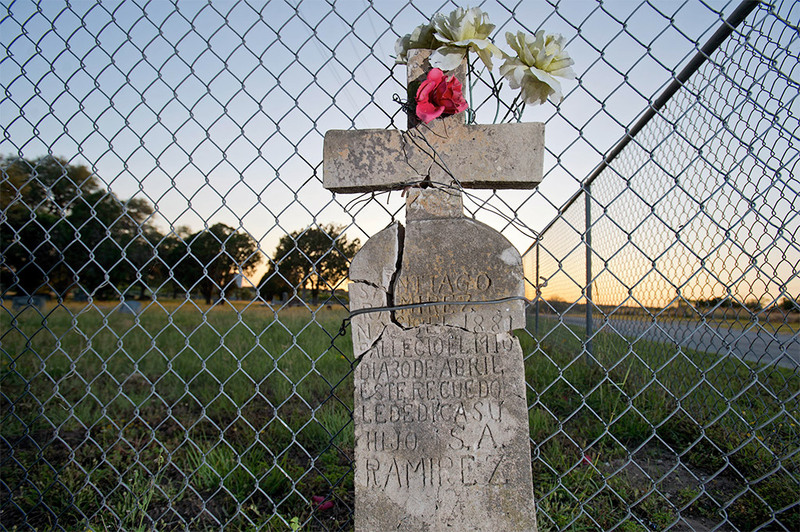 A grave marker for a man named Santiago Ramirez from 1910 stands broken and attached with wire to the outside of the San Domingo Cemetery fence. There are no burial sites for Hispanic residents within the chain-link fence enclosure of the cemetery, according to the lawsuit. Just outside the fence is one headstone with a Spanish surname dated 1910. 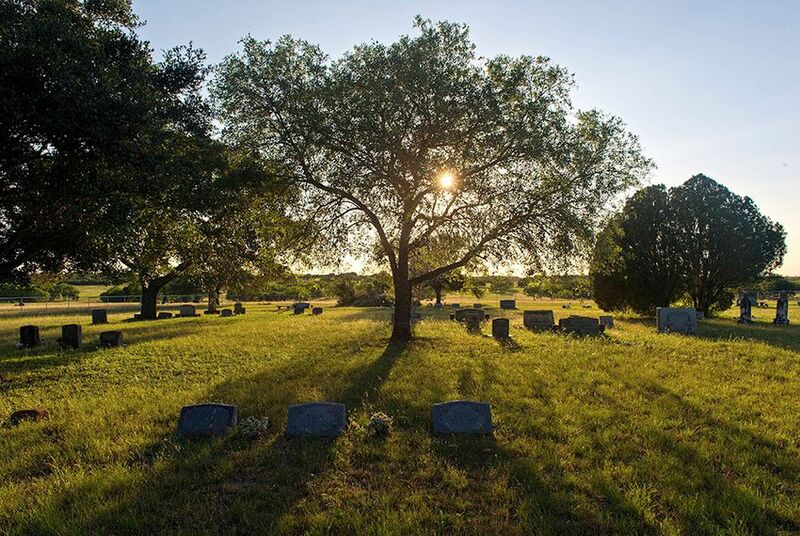 Segregated cemeteries were “extremely common” in Texas, largely because of Jim Crow laws, said Jenny McWilliams, cemetery preservation program coordinator for the Texas Historical Commission. But the tarnished legacies of segregated cemeteries have lived on in many areas of Texas where some local leaders have worked to formally deem such policies defunct. The burial of a white woman in 2008 highlighted Waller County’s history of segregated cemeteries. In 2014, Waco officials announced plans to remove a chainlink fence that cut through the city-owned cemetery separating burial sites of white and black residents. And in February, the Denton City Council renounced an old deed that restricted burials in the city cemetery to white people. But experts were unable to recall another instance in which a Texas cemetery was accused of continuing to enforce a “whites only” rule.